Like so many residents of the South Carolina Lowcountry, Mrs. Thelma Harney speaks in the soft, musical tones of the Gullah dialect and culture. But her message of health comes across loud and clear, for her friends and neighbors in the coastal community of McClellanville and beyond. Mrs. Harney, 82, has lived with diabetes for 40 years. For most of those four decades, she controlled the disease with diet and exercise. Only recently, she began taking pills to control her blood sugar level. And yes, she still gardens, meets with her senior group, attends church, goes to Eastern Star meetings, does community work and makes traditional African strip quilts. She worked into her 80s at the local crab-processing plant. It closed before she retired. A born storyteller, Mrs. Harneys enthusiasm and passion for life are contagious. No matter the topic, she has a way of making things day clear. She shares her lifes experiences so willingly that listeners feel they lived them with her. As a young person, Mrs. Harney moved to Charleston to work and attend school. 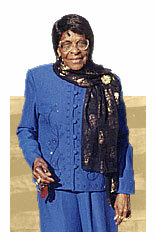 There she married and began a family before returning to McClellanville to raise her children. She eventually returned to school and earned a high school diploma in the 1970s. 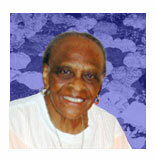 She passed her love of learning on to her children and grandchildren. When her granddaughter developed Type 1 diabetes while attending the University of South Carolina, Mrs. Harney stepped in to help out. Mrs. Harney knows that diabetes can be controlled because she has done it for 40 years. She currently takes one pill a day to control her glucose levels and stays active. She encourages people to watch what they eat, listen to the doctor and practice good common sense. In Mrs. Harneys case, thats a prescription for a long, rich and rewarding life. See the Diabetes section in South Carolinas Biggest Health Problems for more information about diabetes. Research study shows Diet and Exercise Dramatically Delay Type 2 Diabetes. On this page find out how what you eat can affect your diabetes. Written by: Barbara Carlson, M.L.S.